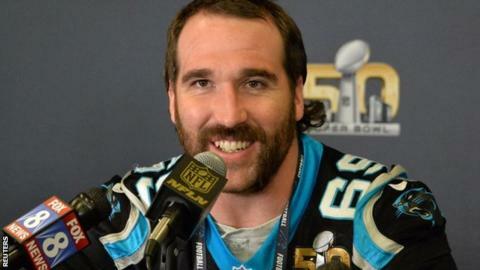 Jared Allen will retire as a Minnesota Vikings player after he signed a one-day deal with the NFL team on Thursday. He had an initial spell with the Vikings between 2008 and 2013 and was named one of its 50 greatest players. Defensive end Allen, 34, last played for the Carolina Panthers in 2015 and also had spells with the Kansas City Chiefs and the Chicago Bears. "We are proud to have Jared retire as a member of the Vikings franchise," said Vikings owner Zygi Wilf.